WHAT WE FILIPINOS SHOULD KNOW: Note: Bold, colored and/or underlined words are HTML links. Click on them to see the linked postings/articles. Forwarding the postings to relatives and friends, especially in the homeland, is greatly appreciated. One of the perennially hot topic (if not the hottest) that we Filipinos dwell on is corruption, public and private. Witnessing private corruption was one of my earliest experiences in my first job after college, in a small paper manufacturing company. As the QC engineer receiving raw materials such as imported pulp, etc. and recycled waste paper, I used to discover routinely hollow blocks and other heavy/useless materials were inserted within the baled waste paper to add weight to them (we pay by the delivered weight). I was a young serious guy and the rest were seeing the cheating game as funny. Anyway, that's minor stuff. Compared to the corruption practices [and consequences to the native majority] that the Marcos Dictatorship left as one of its systemic legacies to our subsequent and present generations of native rulers and their cohorts/partners in traitorous crimes (traitorous because their corruption brings perpetual poverty with its consequences of hunger, sickness and ignorance, not to just a few individuals but to the majority of our fellow native Filipinos). We Filipinos talk about all these corruptions we experienced, heard and read about, saw and maybe even participated. But that's all to it. We Filipinos have accepted it as "reality." We rant about them when such corruption is committed by someone we do not know; but not when by someone we know: classmates, friends, relatives --then we create rationalizations and/or keep quiet and laugh about it -- especially when we also profit from these connections. Or even when not profiting, we entertain and hope for a chance to do the same. I have heard these statements from some fellow Filipinos I have met in my lifetime. And our dominant Christian religion and supposed education do not do much good. We self-proclaimed Christians talk about Jesus this, Jesus that.... and all the sickening holier than thou incantations and rituals but act in ways described as split-level Christianity. We boast about having several good private, Catholic and state schools, colleges and universities in the homeland (are these still that academically good versus those of other Asian countries?) but to naught. 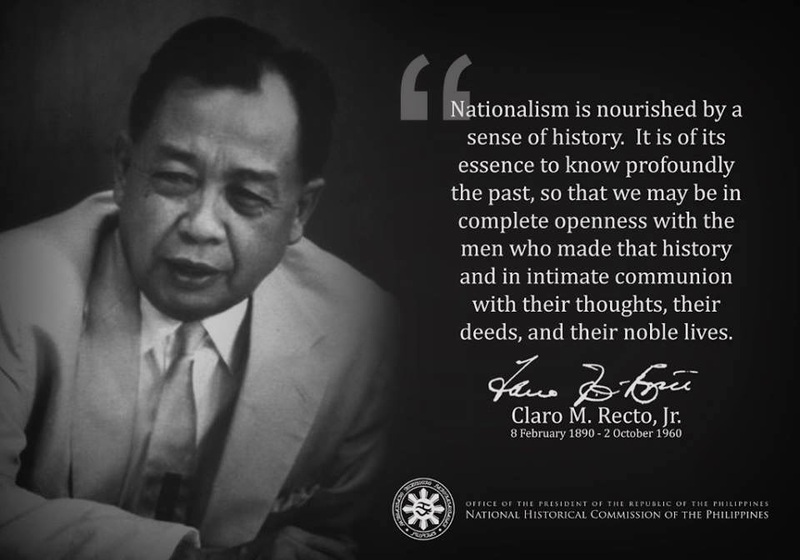 We had/have so many intelligent fellow countrymen in their chosen professions; some joined the government not to serve but to steal despite their supposedly Christian upbringing; others want to/went to vote with their feet and leave the homeland --those who can afford to or who have no connections). What our corrupt rulers, technocrats, businessmen or entrepreneurs, etc. have shown in the past and continue to demonstrate is that having an "education" (I would prefer labeling ours as "schooling") and "religious/Christian schooling" do not guarantee decent, humane and incorruptible behavior and action. They only prove that public morality and ethics can not be left and depended on so-called education -- not just teaching against sexual immorality, which we get plenty from the Church as if it is the only and gravest form of immorality, and react against vociferously. Below article from Probe International shows samplings on "how, what, when, and where" public corruption were committed against the homeland/native Filipino majority during the Marcos Dictatorship. These corrupt practices still go on since then in different ways and magnitudes. It takes two to tango. Although our rulers are to blame, the foreigners/foreign businesses connive and apparently do not care about business ethics themselves since they are not or do not care about the repercussions of what they do to the people, for similar reasons as our native rulers : the pursuit of easy and maximized profits, of greed. IN 1990, THE FORBES annual hunt for the world's billionaires tracked down 271 individuals and families worldwide. Yoshiaki Tsutsumi, a Japanese developer whose vast holdings include railroads, ski slopes, hotels and golf courses, had the world's largest empire at $16 billion. Another Japanese developer was worth $14.6 billion, largely through inheriting land near the Parliament in Tokyo, which he transformed into a great commercial center. Thirteen others — 12 from developed countries, and a lone Korean from the Third World have wealth estimated at between $5 and $10 billion. Forbes' list of "The World's Billionaires" included all who had made their fortunes in private sector business activities, and excluded royal families and heads of state because their wealth "derives more from political heritage than from economic effort." Had Forbes included political leaders and royalty, the Third World would have found itself well represented. Topping the list would be the Sultan of Brunei, with his estimated $25 billion, followed by King Fahd of Saudi Arabia, for whom "no line separates his fortune from his nation's, and his visitation rights to the Saudi treasury are generous." King Fahd's personal fortune is estimated at $18 billion. (By comparison, the Queen of England has a personal fortune estimated at $11.7 billion.) Following the sultan and the king come various less royal leaders, who made their fortunes while serving in public office. To do so, they stole from their people. Philippines' President Ferdinand Marcos and his wife Imelda probably surpassed all other politicians at fiscal manipulation, economic favoritism, and "cooking the books" to enable themselves, their friends and their relatives to steal from the Filipino people. The extent of their theft cannot be easily estimated because the Marcoses deposited their takings in countries with strong secrecy laws, but few dispute the $10 billion estimate of President Aquino's Commission on Good Government, which was established to recover Marcos-family assets around the world. When Marcos came to power in 1966, the Philippine debt stood at under $1 billion; when he left in 1986 the debt stood at $28 billion. Almost one-third of the increase can be accounted for by the wealth this one couple accumulated so assiduously. One venture from which the Marcoses skimmed a little off the top was the nuclear reactor project on the Bataan peninsula. This Westinghouse plant, originally estimated at $500 million for two reactors, ended up costing $2.8 billion for a single reactor: it is today the single largest item on the Philippines' debt rolls, accounting for 10 per cent of the country's debt. From the beginning the project was rife with commercial irregularities and safety concerns. A panel appointed by Marcos and the head of the Philippine National Power Corporation recommended purchase of a General Electric reactor. But Marcos overruled the panel's choice in favor of the much more expensive reactor from Westinghouse before the latter had even submitted a detailed bid. The Filipino Secretary of Industry wrote angrily to Marcos that he had bought "one reactor for the price of two." Westinghouse, the dark horse in the race, won the contract with the help of Herminio Disini, a Marcos aide who received $80 million for what Westinghouse called "assistance in obtaining the contract and for implementation services." According to evidence later presented in a government lawsuit against Westinghouse, Disini, a regular golfing partner of Marcos, had openly "flaunted his close relationship with President Marcos" and claimed "he had the authority to arrange the entire nuclear power plant project in any way he wished." Disini received the $80 million only to later pass on the bulk of it to the president. According to the lawyer and a banker who negotiated the deal, Disini received payments through a variety of channels. In one case, Westinghouse helped Disini acquire Asian Industries, its distributorship in the Philippines, with commissions paid to the company for Disini's benefit. In another contract Disini set up a construction company which was soon named the chief contractor for building the reactor. In a third instance a small insurance company owned by Disini was awarded a $688 million policy on the nuclear plant, the largest ever written in the Philippines. And finally, Disini received most of his money through a Swiss subsidiary of Westinghouse which had set up another entity — Westinghouse International Projects Company — solely to handle the Philippine reactor. According to a New York Times investigation, "The reason for the complex arrangement with the Swiss concern ... was that Westinghouse couldn't pay fees directly to Disini without risking charges of bribery under various United States fraud laws or laws requiring corporate disclosure. But there were no similar restrictions in Switzerland." The banker who represented Disini in the transaction explained that a special Swiss fund dispensed the money to Disini, President Marcos, and one or two of Disini's employees, and that Marcos was to receive 95 per cent of the fee. "After all, it was Marcos's deal; Disini was just a conduit." To see the project through, Westinghouse and Marcos had to deflect growing concerns about the safety of the plant, which was sited at the foot of a volcano, in the middle of the Pacific "fire rim" earthquake zone of high seismic activity. The International Atomic Energy Agency, the international promoter for the nuclear power industry, termed the site "unique to the nuclear industry," and considered the risk of a future volcanic eruption "credible." The Philippine Atomic Energy Commission, who refused to give the plant — already under construction — a construction permit, was also nervous. Finally, after much wining and dining by Westinghouse and pressure plied by the energy minister, and just one week after the Three Mile Island nuclear accident in Harrisburg, Pennsylvania, USA, Librado Ibe, the head of the commission, issued the permit and then moved to the United States. As he explained to Fortune magazine, it was unsafe to resist Marcos's lieutenants for too long. President Marcos could not have accumulated his offshore estate had he restricted his means. Hardly any government institutions were beyond his power: where none existed to serve his interest, he created them. "Corruption was centralized as never before and was thus carried on more efficiently," an independent Filipino research team discovered. "Vast legislative powers Marcos accorded himself through Proclamation 1081 placed him in a vantage position to spot lucrative deals, then wheel and deal through his cronies who also held important government posts." The government-owned Philippine National Oil Company (PNOC) was also placed at the service of Marcos and of his energy minister and chairman of PNOC, Geronimo Velasco, who is believed to have siphoned off millions of dollars in illegal kickbacks and rebates from the company. Velasco, according to the head of the Commission on Audit set up by the government of Cory Aquino, "took a staggering amount.... We really don't know how much it was, or how much went to Marcos, because for all these years PNOC was never audited." PNOC — the country's largest business enterprise — was set up by President Marcos during the oil crisis in 1973 and was specifically exempted from normal auditing controls by presidential decree. The absence of regulatory and public oversight allowed Velasco to defraud the enterprise he ran. Whenever he chartered tankers to bring crude oil to the Philippines, Velasco would add a 5 per cent commission to be kicked back and paid through the treasurer of a shadowy Filipino firm who would deposit the money in banks in Hong Kong and the United States. Velasco would use a similar scheme when PNOC bought insurance for each tanker voyage from an insurance company owned by another notorious Marcos crony. The PNOC routinely paid more for its tanker insurance than its competitors. PNOC also paid 10 per cent more than the going price for three oil tankers the company bought from Japan in 1974 and 1975. This purchase was believed to have come from a $400 million discretionary fund, called the Oil Industry Special Fund, over which only Velasco and Marcos had authority. Tariffs on imported oil kept the fund full. So pervasive was corruption that First Lady Imelda Marcos was nicknamed "Mrs. 10%" for the cut she allegedly took off the top of large government contracts, of which many were within her reach: Mrs. Marcos ran the Greater Manila Area, in which the bulk of foreign investment occurred. As the Minister of Human Settlements, Mrs. Marcos administered vast sums of money, including foreign aid from the U.S. Agency for International Development. Her ministry built convention centers and luxury hotels; 40 corporations that she controlled, like the national oil company, were exempt from audit. One Filipino businesswoman who ran against the Marcos incumbent in the powerful business district of Makati in the 1984 elections, argued that: "Instead of funneling money through the Marcos government, the U.S. might as well drop all pretenses and hand it over to him personally." While the Marcoses' assets climbed nearer and nearer to those of Tsutsumi of Japan, so too did the Philippines' foreign debt. As national looters go, the Marcoses were rivaled by few others. President Mobutu Sese Seko of Zaire comes closest. Premeditated theft and systematic fraud is the only explanation for the near coincidence of Mobutu's personal wealth and his country's national debt — the former approaching $6 billion, the latter $9 billion. The most influential factor in Zaire's economic crisis is corruption, which "reaches an intensity in Mobutu's Zaire that goes beyond shame and almost beyond imagination," according to one Africa specialist. President Mobutu Sese Seko — self-designated as Zaire's "savior guide" — has put the state machinery, the military, and the nation's rich mineral resources at the service of his family and his associates. His country is also in hock to international agencies, primarily the World Bank and the IMF, to the tune of $1.6 billion. The Wall Street Journal calls him a "despot on the dole." Mobutu and friends shifted funds abroad through manipulation of the exchange rate — purchasing zaires at the dirt-cheap black-market rate and reselling them to the Mobutu-controlled national savings bank at the artificially high official rate. Mobutu is also alleged to have routinely diverted diamonds from the state mining monopoly for private sale in London, to have smuggled gold to Europe, and to have sold strategic minerals through South Africa, with the proceeds sent to his foreign, mainly Swiss, bank accounts. Until it was dismantled under duress from the IMF, the major source of foreign funds for the "savior guide" and his cronies was Sozacom, the state enterprise responsible for marketing the country's copper and cobalt. The Zairean elite used Sozacom's access to foreign exchange to make an estimated $1 billion on the black market. Now and then a few brave souls objected. In 1980, thirteen members of the Zaire parliament wrote to Mobutu, noting that Zaire's debts could be paid off if only a quarter of the elite's illicit earnings were returned from foreign bank accounts. All thirteen were arrested. The IMF also objected. Mobutu's failure to live up to two agreements with the IMF in the late 1970s led the IMF to insist that an IMF team — headed by West German Erwin Blumenthal, a retired Bundesbank official — run the Zaire Central Bank as a precondition for more aid. alarmingly clear that the corruptive system in Zaire with all its wicked and ugly manifestations, its mismanagement and fraud, will destroy all endeavours of institutions, of friendly governments, and of the commercial banks towards recovery and rehabilitation of Zaire's economy. Sure, there will be new promises by Mobutu, by members of his government, rescheduling, and rescheduling again of a growing external public debt, but no (repeat: no) prospect for Zaire's creditors to get their money back in any foreseeable future. One who was close to Mobutu, former Prime Minister Nguza-Karl-I-Nond, estimated that by 1982 Mobutu had stashed between $4 and $5 billion in Swiss, Belgian, and French bank accounts. In addition, Mobutu was reputed to have eight houses and two chateaux in Europe, as well as a Swiss estate, a Paris apartment, three hotels in Dakar, villas scattered across Africa, a Versailles-like palace in northern Zaire, numerous ships, jet planes (including a Boeing 747), and at least 51 Mercedes. That Mobutu and his extended family pillaged billions from the Zairean people is subject to little debate, except from Mobutu himself. A recent book about Zaire contains an interview with the man. "Clearly, I would be lying if I said I do not have a bank account in Europe; I do," Mobutu said. "I would be lying if I said I do not have considerable money in my account; I do. Yes, I have a fair amount of money. However, I would estimate it to total less than $50 million. What is that after 22 years as head of state of such a big country?" On another occasion, a slighted Mobutu publicly complained when not described as the world's seventh-richest man. Despite attempts from the IMF and others to curb Mobutu’s corruption, little has changed over the duration of his regime. In 1989, exiled Zairean critics charged their country’s government with corruption and gross mishandling of World Bank funds. “The World Bank has no way of monitoring what Mobutu does with the central bank’s funds,” charged exiled Zairean political scientist Nzongola Ntalja. “There shouldn’t be any World Bank lending as long as there is no mechanism for control and oversight to see that the government is using the money the way it is supposed to be used.” The U.S. Agency for International Development confirmed that the World Bank unsuccessfully sought an explanation from Mobutu concerning more than $400 million in unreported 1988 export earnings. Mexican President Lopez Portillo is believed to have retired in Rome with some $1 billion. His successor, Miguel de la Madrid, a Harvard-bred technocrat, was exposed for accumulating $162 million in a Swiss bank account, not enough to earn him a spot in Forbes’ list of “The World’s Billionaires” but a tidy sum nonetheless. Each year Forbes and Fortune magazines conduct surveys of the richest people in the world: Forbes examines only those in the private sector, while Fortune documents the wealth of both the private sector and royalty. I have relied on "The World's Billionaires," Forbes, U.S., July 23, 1990 for my data on the former, and "Shrewd Managers of Regal Riches" in Fortune, U.S., October 12, 1987, for information on the latter. See also "The World's Billionaires" in Forbes, July 25, 1988; "The Enigma Behind the Saudi Billions" in Euromoney, U.K., September 1990. For details of the wealth accumulated by the Marcos family see "Marcoses want property back" in The Globe and Mail, Toronto, March 12, 1991. This article describes how Imelda Marcos and her children demanded that her family's property seized by President Corazon Aquino's government be returned. In a petition filed by their lawyers with the Supreme Court, the Marcos family contended that the property should be returned to them "in the same manner that the heirs of the known gangsters in the United States, Al Capone, Dillinger ... inherited their fortunes" without losing a dollar of the assets to the U.S. government. In another article in The Wall Street Journal on March 12, 1991 about the same application to the Supreme Court, the family of the late President Ferdinand Marcos was reported to have estimated their family's wealth to be worth $75 billion. See also "Marcos money" in The Wall Street Journal, December 22, 1989. Another excellent survey of how much money the Marcos family stole from the Philippine people, and how, is The Revolving Door? External Debt and Capital Flight: A Philippine Case Study , by James K. Boyce, Department of Economics, University of Massachusetts, June 1990. For details on the Bataan nuclear reactor and President Marcos's $80 million fee see the excellent investigative work of Fox Butterfield in "Filipinos say Marcos was given millions for '76 nuclear contract" in The New York Times, March 7, 1986. For even more detail on this case see The Bataan Nuclear Power Plant, by Consortium Research on Fraudulent Loans, Mae Buenaventura, Ed Santoalla, and Roberto Verzola, (draft), June 15, 1990. As a result of this corruption the Aquino government filed a formal complaint on December 1, 1988, for money damages and equitable relief and demand for jury trial against Westinghouse before the U.S. federal court of New Jersey. Specifically the Aquino government demanded that respondents Westinghouse Electric, WIPCO and Burns and Roe Enterprises be tried for: obtaining their respective contracts with the NPC through rough bribery and other fraudulent, illegal and improper conduct; wrongful interference with the fiduciary duty owed by Marcos to the Filipino people by paying bribes to the former president to obtain their contracts; "unconscionable commercial practices, fraud, deceptions, misrepresentations, concealment or suppression of material facts" in violation of the New Jersey Consumer Fraud Act; breaches of contract for failure to supply the goods and services necessary for a "complete, safe, licensable, and operable nuclear power plant," improper charge for services, and failure to complete the plant by the warranted completion date of January 25, 1985; negligence for failure to fulfill their promises to function as "highly experienced and skilled in design, procurement, manufacture, installation, quality assurance, start-up and testing, and overall management of nuclear power plant projects"; and civil conspiracy among themselves and with Marcos, Disini, and some 20 Filipinos and Philippine companies. For details on how Marcos and his cronies siphoned money from the state oil company see "Marcos crony returning despite fraud evidence" by Fox Butterfield in The New York Times, March 24, 1986. For details of Mrs. Marcos's reputation see "How Hot Money Has Beggared The Third World" by Lenny Glynn in Report on Business Magazine from The Globe and Mail, Toronto, September 1985. The Filipino businesswoman quoted is Aurora Pijuan-Manotoc, and the quotation is from her article "Invest in the Filipino people, not their government" in The Wall Street Journal, January 28, 1985. For sources on the extent of the corruption of Zaire's President Mobutu, including his run-in with the IMF, see The African Debt Crisis by Trevor W. Parfitt and Stephen P. Riley, Routledge, London, 1989; Hot Money and the Politics of Debt by R.T. Naylor, McClelland and Stewart, 1987; "Congo drums" in The Wall Street Journal, March 7, 1990; A Fate Worse Than Debt by Susan George, Penguin Books, 1988. Mobutu's complaint about being overlooked as the seventh-richest man was described in "Redistributing the blame in Africa" by Stephanie Cooke in Institutional Investor, New York, September 1990; World Bank Watch, U.S., July 3, 1989.